The following description refers to undercoating. Offset coated paper does not absorb aqueous inks well. In the past, when printing was done on offset coated paper, adjacent ink droplets sometimes blended together as they landed, causing unevenness and asperity. The paper is undercoated before printing. Through chemical reaction with the coating agent, the ink droplets are cured quickly. Thus, high image quality is maintained in subsequent printing. This technology has enabled support for a wide range of paper, including offset coated paper. Past (no undercoating) Inks blended, giving the image granular quality and asperity. This technology (undercoating) Inks do not blend, so the texture is smooth. With the undercoating agent applied, the offset coated paper becomes receptive to aqueous inks on the surface. In addition, pigment aggregation is promoted in the ink droplets that have landed. As a result, the beading on the coated paper is suppressed, the dot arrangement becomes even, and granularity is improved. The undercoating technology has two aspects: the development of the materials of the undercoating agent itself, and the thin application of the undercoating agent on offset coated paper. A resin with a high cation intensity was chosen as an element of the coating agent. *1 Even in a very small amount, the coating agent increases the speed of the aggregation of the pigments in the ink discharged onto the paper. As a result, adjacent dots are kept independent. 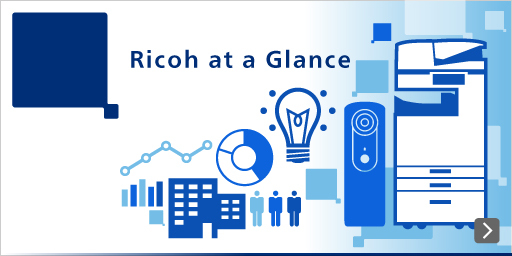 This technology is an excellent application of Ricoh's IJ ink material technology developed over many years. To have the coating agent induce pigment aggregation on the paper, an appropriate amount of coating agent must be applied evenly on the paper. The roller application method was chosen because it is not easily influenced by the coating agent element and can be inexpensive. The RICOH Pro VC60000 has multiple printing speed modes, so the nip load*2 has been made variable to allow an appropriate amount of coating agent to be applied at different printing speeds. Though the nip load is variable, a sag prevention structure ensures that pressure is evenly applied to the nipping roller and that the agent is applied evenly. This technology is an excellent application of the paper transport technology developed over many years for electrophotography (copy machines and multifunction printers). *1 A positively charged ion (+). Pigments are negatively charged (-), so they aggregate as the cation resin neutralizes their charges.